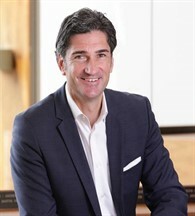 A dual Canadian and German citizen, Dr. Andreas Schotter is a Associate Professor for International Business at the Ivey Business School at Western University Canada. He also serves as the Faculty Director of Ivey’s Masters of Science and the CEMS Masters in International Management. Prior to joining Ivey, he has taught at the Thunderbird School of Global Management in Arizona and the University of Aarhus, Denmark. The Wall Street Journal has named him twice WSJ Distinguished Professor of the Year. Dr. Schotter has lived and worked in Canada, Europe, Asia and the USA and holds permanent residency status in Hong Kong. As an international strategy and leadership expert he helps executives and organizations understand the challenges and opportunities posed by the constantly evolving global economy. He specializes in how to think strategically and drive the agile decision-making that will prevail in today’s turbulent business world. His current areas of endeavor include the development of effective strategies for the “two-speed” global economy as well as boundary-spanning leadership capabilities for executives of global organizations. Before embarking on an academic career Dr. Schotter was a senior executive with several multinational corporations across a number of industries including, luxury consumer goods, automotive, and industrial equipment. In his last corporate role, he served as the Regional Managing Director Asia for Blitzer International, a leading manufacturer of commercial HVAC equipment from Germany. He also worked for Linde AG as General Manager China, for Volkswagen, and for the Lancaster Cosmetics Group in Germany. Dr. Schotter’s research has been published in leading academic and practitioner journals, amongst them the Academy of Management Journal, the Journal of Management Studies, the Journal of International Business Studies, and the MIT Sloan Management Review. He has also authored numerous books, book chapters, and cases. In addition to his academic work, Dr. Schotter collaborates closely with leading multinational corporations and their executives from North America, Europe, Asia, the Middle East and Latin America on internationalization issues, emerging market strategies and cross-border leadership. Dr. Schotter’s research is highly applied. His most recent publications on China discuss intellectual property protection strategies, talent management and cross-cultural leadership strategies. He currently works on a research project that will help firms to develop both, better subnational strategies as well as regional strategies in order to overcome the challenges when expanding in and across large and heterogeneous business environments. Please e-mail for a detailed academic CV (aschotter@ivey.ca).